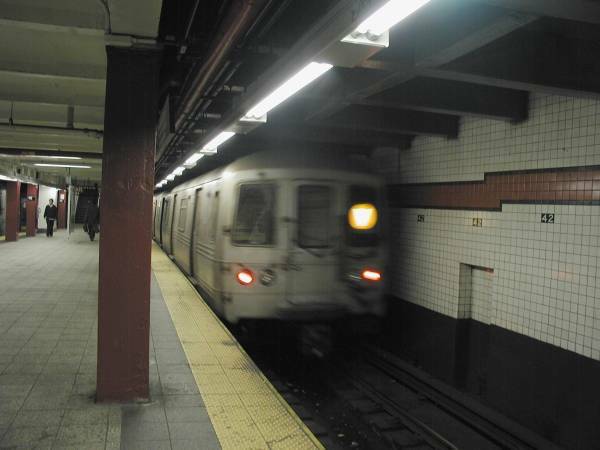 The V train was NY's newest subway line when the G-line was cut back to Court Square. As of the end of June 2010, the V-line was terminated. The M-line now serves 6th Ave and Queens Blvd in its place. The V-line original purpose was to relieve the overcrowding on the Queens Blvd line. It operated Local in Queens, used the 53rd St tunnel to access Manhattan (the F-Train now uses 63rd St). It then switched onto the 6th Ave line ending at 2nd Ave on the Lower East Side.